Accenture (NYSE:ACN) survey released today at HIMSS19. the most power to influence future healthcare models. (16 percent vs. 6 percent); the location/channel of care (13 percent vs.
care, cost of treatment and responsiveness to follow-up questions. 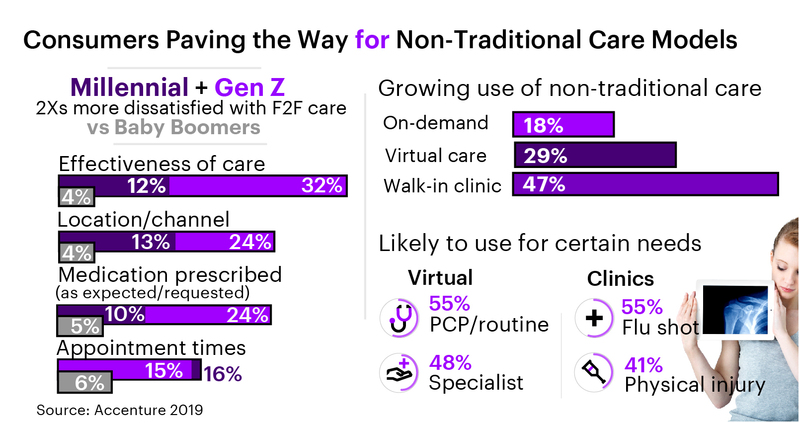 services from retail clinics (41 percent) and virtual care (39 percent). mobile or online access to test results (44 percent of millennials vs.
(40 percent vs. 19 percent). Safavi, M.D., J.D., head of Accenture’s global Health practice. works and lives. Visit us at www.accenture.com.